"We do not set out to become old. Far from it. We hardly intend even to become middle-aged. Instead we plan to live in some eternal now which will lead on to something better, something more complete than what we had before. . . . Sometime in our spiritual travels, as a complete surprise, we notice it has become winter. . . . This change has occurred, it seems, without preparation, without fair warning." So spirituality writer Emilie Griffin begins, taking us on an exploration of our later years. It is a book filled with wonderful, rich story, carefully crafted spiritual exercises and wisdom from those who have gone before us. She explores relocation, vocational changes, losing her mother, and negotiating and renegotiating her relationships with her grown children. The journey of our later years is a wondrous voyage, though turbulent at points. But it is, as Emilie Griffin reminds us, the journey we have been preparing for all along. "Many think the senior years of life are a time to reluctantly drift off into the sunset. 'Not so!' says Emilie Griffin. In prose as beautiful as a sunrise over the ocean, Souls in Full Sail glows with the wisdom of spiritual maturity and offers practices and questions to illumine our own voyage. This memoir, christened with Scripture and launched from the author's own experience, shows us how to navigate the seas that lead over the final horizon to the promised land of everlasting life. Griffin gives us cause to pause, ponder and praise!" 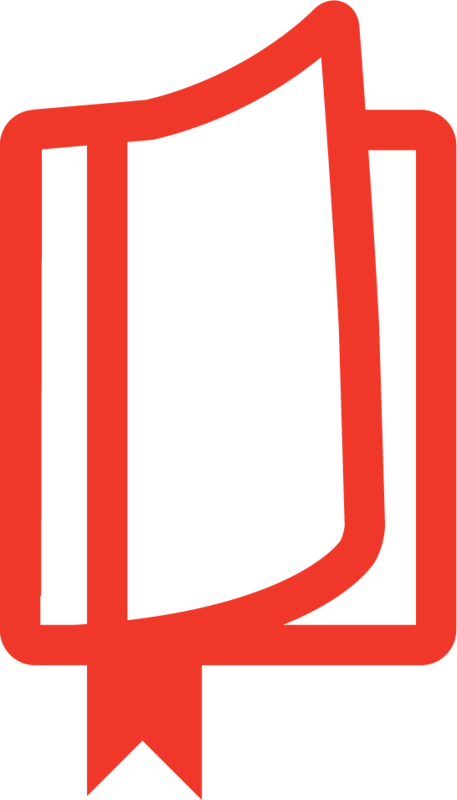 "Souls in Full Sail should find a place in our libraries, even as many of us seek to divest ourselves of much lifelong accumulation." "I loved this book! It is what can happen when a gifted writer and seasoned spiritual director crafts a very personal meditation on getting older. Souls in Full Sail has all the best characteristics of a well-written memoir and it may help a lot of baby-boomers come to terms with something that is widely experienced but seldom prepped for--getting older. Reading this book has helped me find God in more and more present moments." "Through story and metaphor, Griffin celebrates the truth and beauty of becoming older and wiser in a culture that abhors aging. As a result this book enriches not only those moving into their later years but also the ones who are watching those they love grow older." 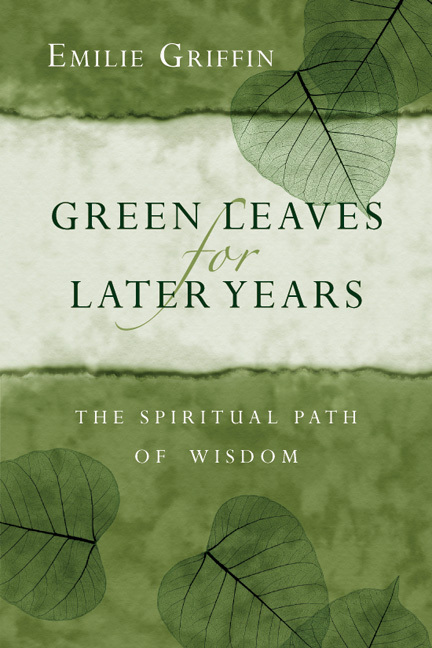 "Emilie Griffin, a writer of intelligent spirituality, writes with compelling wisdom about the growth that must still come after growing up. 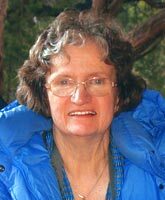 Her memories are vivid and poignant and her view of the end of the voyage is bright with the grace that flows from a fruitful life." "[Griffin] offers in Souls in Full Sail a last reading at the world's edge, before night turns to everlasting day; an order much like compline that brings to the scrim of life's curtain the braid of light and shadow." 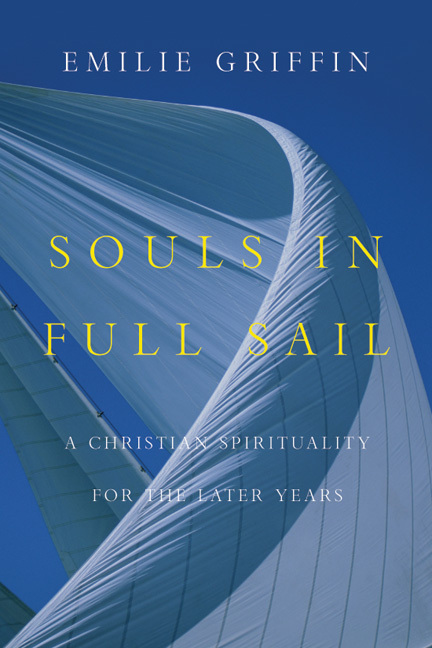 "Souls in Full Sail is a book filled with wonderful, rich story, carefully crafted spiritual exercises and wisdom from those who have gone before us." 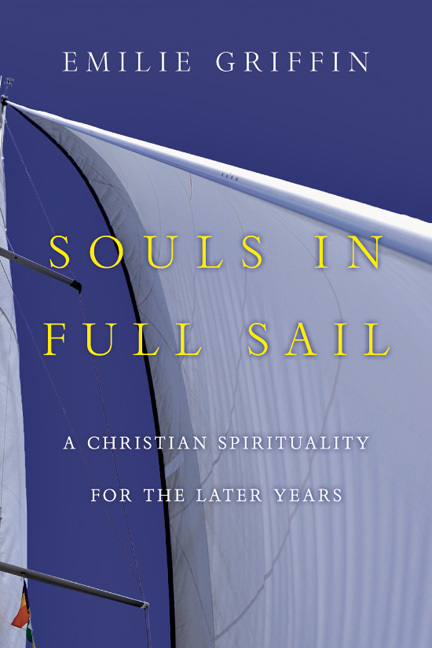 "[Souls in Full Sail] is a book filled with wonderful, rich story, wisdom from those who have gone before us and carefully crafted spiritual exercises." "Out of a youth-obsessed culture, even and especially in evangelism, comes a wise book. Wise, because it's grounded in both biblical insight and the experience of having lived--the latter trait being sorely lacking in much evangelical fare these days. Many things have to be rethought in the winter years--home, vocation, parents, health, children, and money, to name a few--and Griffin helps readers do so Christianly, using prose both thought provoking and beautiful." "In a culture in which most everyone else seems to be in frantic flight from getting older, Emilie Griffin embraces it, welcoming and exploring what she calls 'homewardness'--and without a trace of sentimental romanticizing. 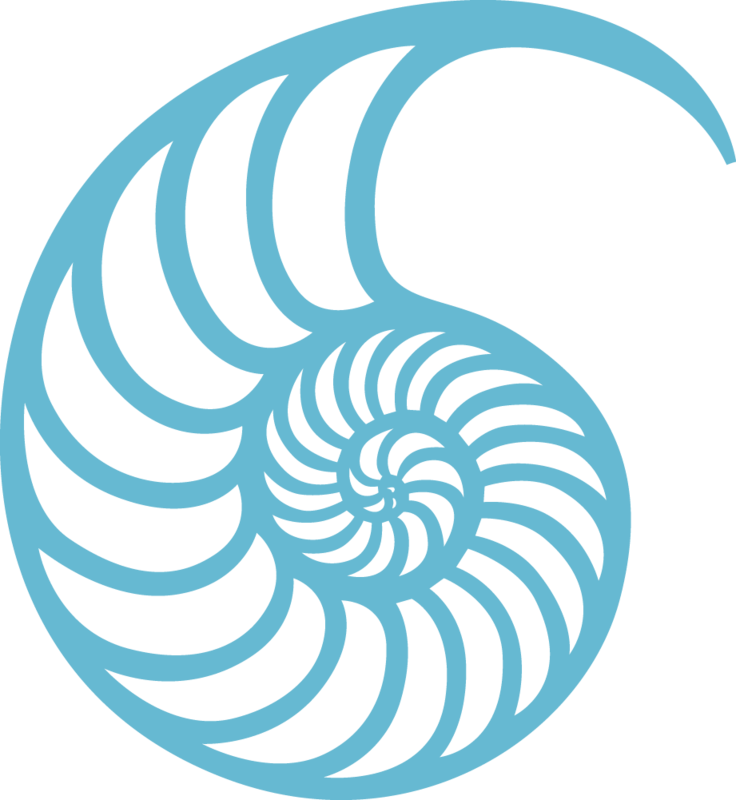 This is hard-won spiritual wisdom, useful to young and old alike." Emilie Griffin is an award-winning playwright and the author of a number of books including Wonderful and Dark Is This Road and Doors into Prayer: An Invitation. Emilie is on the board and speaking team of Renovaré. She and her husband, William, are founding members of the Chrysostom Society, a national group for writers of the Christian faith.